In collaboration with partners in Dida (Italy) and The National Unions of Students in Europe (Belgium), the Open University (UK) has produced “Learning with MOOCs for Professional Development”, a free course which will be open for participation in mid October. 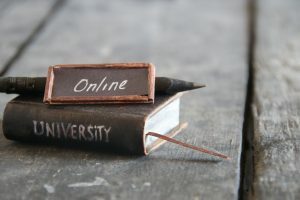 Massive Open Online Courses, or MOOCs are everywhere, but what are they? Why would you take a MOOC? How do you sift through the thousands of courses on offer to find what you want? How do you determine their quality? How can you make the most of learning with MOOCs? These are some of the questions you are invited to explore in this free course. 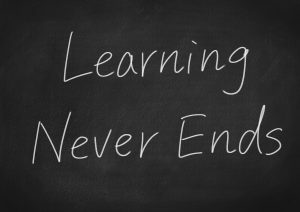 If you are unemployed and lack the self-confidence to connect to industry, or you are finding it difficult to cope with college, or you need a change of direction in your career but lack the skills to move on, “Learning with MOOCs for Professional Development” can help. You’ll have a chance to reflect on the way you learn, understand how to be a successful MOOC learner, and also find out about the skills you need to be effective in a digital world: from improving what you do online and the way you do it, to finding information, communicating and collaborating with other people. The course lasts 4 weeks, with approximately 3 hours of study time each week. 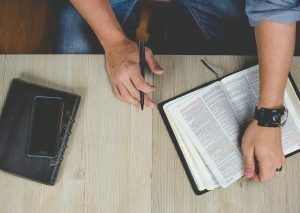 You can work through the course at your own pace, so if you have more time one week there is no problem with pushing on to complete another week’s study. You can also jump in and out of the different sections following your interests. On completion, you will receive a free Statement of Participation. “Learning with MOOCs for Professional Development” has been built on The Open University’s OpenLearn Create platform, where individuals and organisations can publish their open content, open courses and resources. The course has been created in its majority reusing and adapting material already available under a Creative Commons license. “Learning with MOOCs for Professional Development” will be launched on October 16th, 2017. Enrolment will open very soon. To keep updated, follow us on Twitter @bizmoocbook or come back to this blog. E-Skills Match provides a platform where ICT professionals interested in acquiring e-skills and digital competences can be connected to further information such as certifications, qualifications, assessment services and educational guidance services. Moreover these services will be supported by a variety of tools (Self-assessment Tool, e-Portfolio, Knowledge Mapping etc) that will allow the user to reach his/her full potential as an ICT professional. 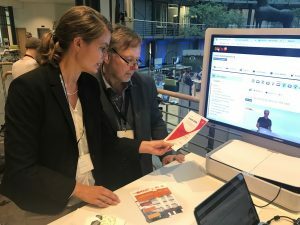 BizMOOC and their deliverables were presented at 7th University Business forum in Brussels, at the Global Learning Council SUMMIT in Berlin and also at Week of innovative Regions in Europe in Košice. Add fake text here to reach the amount needed to force READ MORE button appears! Add fake text here to reach the amount needed to force READ MORE button appears! Add fake text here to reach the amount needed to force READ MORE button appears! Learning Design Workshop. How to produce a MOOC? The video “How to produce a MOOC” was recorded during the BizMOOC meeting at The Open University UK in Cardiff. It is one of the next project deliverables. The slides are an adapted version from a presentation called “Beyond the Blend” by Lisette Toetenel (The Open University, UK) and Charles Jennings (The Internet Time Alliance & Duntroon) which was delivered on 11 May 2016 at the CIPD show in London, UK. 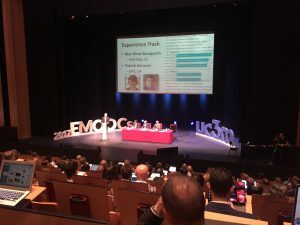 Christian Friedl, Darco Jansen and Thomas Staubitz attended the EMOOC2017 conference last week in Madrid, the largest European summit on MOOCs. BizMOOC and its MOOC BOOK was presented as a keynote to the session “MOOCs for companies”. We received very positive and valuable feedback in encouraging discussions throughout the whole event. 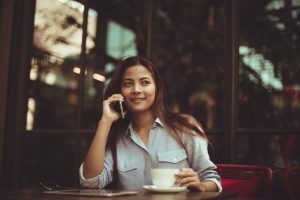 The increasing costs of higher education (HE), growing numbers of flexible anytime, anywhere learners, and the prevalence of technology as a means to up-skill in a competitive job market, have brought to light a rising concern faced by graduate students and potential graduate employers. Specifically, there is a mismatch of useful skills obtained by students through HE institutions which is evident upon graduation. 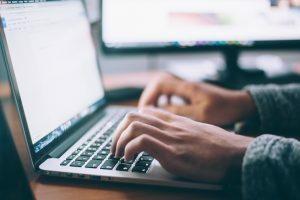 Faced with this dilemma, “graduate students,” or more specifically newly graduated students, with a with bachelor’s degree, and a growing number of employers are turning to Massive Open Online Courses, or MOOCs, as a complimentary mechanism through which this skills gap may be bridged. 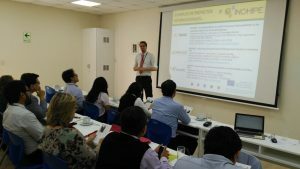 BizMOOC goes Peru – presentation of BizMOOC and the MOOC BOOK by Christian Friedl/FH JOANNEUM as a good practice example in 3-day-training-seminars about “internationalisation of research” in the course of the EU-funded project “INCHIPE”. The project is an “Programa para la Internacionalizacion en las Universidades de Chile y Peru”. On 6-7 April will contribute to the 7th University Business Forum in Brussels. Organised by the European Commission, the seventh edition of the University Business Forum will bring together around 400 representatives from higher education institutions; large companies; SME’s, relevant European organisations and associations; as well as national, regional and local authorities from Europe and beyond. The BizMOOC project will highlight our results so far including the MOOCBOOK recently launched. Learning to Learn is at the heart of the BizMOOC project and is cemented in the objective to contribute to the acquisition of Lifelong Learning and business key competences. Learn more about Learning to Learn and what the existing materials are from around the web that address this key competence. The explosive growth of the Massive Open Online Courses (MOOCs) in its early years points MOOC phenomenon to a very fast maturity. This new educative model is characterised by the absence of physical boundaries and open to anybody who wants to enroll in the course. Therefore MOOC´s promoters and/or creators must take into account not only their national IPR legislation but also the international IPR framework. This paper provides the most relevant IPR issues from a EU and US perspective.